Christmas Shopping---but the True Meaning of the Season! ..... my beautiful scarlet pink Christmas cactus which is already blooming on my windowsill so beautifully! I'm not even shopping for gifts at my local mall this year, as I am cyber shopping instead, and having my gifts sent directly to my family. 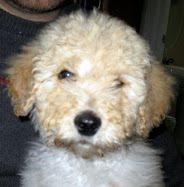 I have become quite addicted to the Zulily website, which my daughter introduced to me recently. It has amazing daily deals for moms, babies, and kids - up to 90% off! You have to sign up to see what great products and brands are featured every day, and when you do you'll receive an e-mail with the new sales of the day. In full disclosure, if you sign up and shop at Zulily through this link I will receive a $20 credit when your order ships. Warning: If you have children or grandchildren, you will be very tempted by the adorable and very affordable, clothes Zulily offers, as well as women's' accessories and household items. Today I stocked up on beautiful Laura Ashley closet storage accessories for my new home. I also like that many of the manufacturers Zulily profiles are "made in America" companies. They also ship internationally--check out their web site for further information. I also applaud the "Made in America" campaign being run by ABC News! 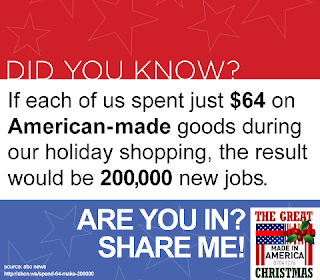 As they say, if every American spent just $64 dollars on an American-made good this holiday season, the result would be 200,00 new jobs! If you click here you can see their interactive map with a coast to coast list of products being made in every state. I believe California leads, but New York also has a wonderful selection. How does your state rank? 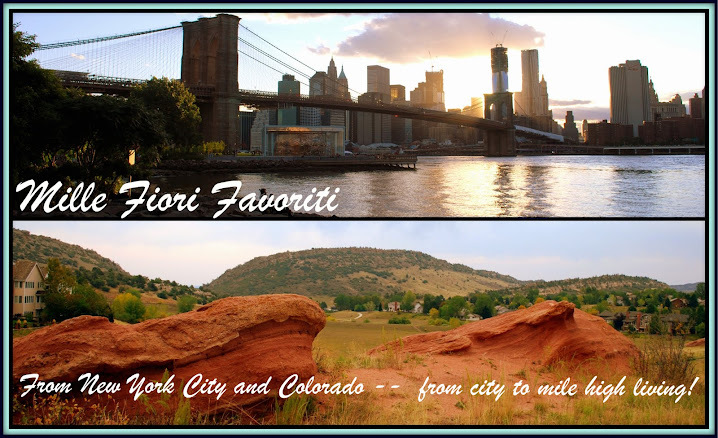 Why not chose a gift for a loved one from your home state this Christmas? Of course, the true meaning of Christmas is not shopping, gifts, Christmas trees, decorations, or elaborately baked goods and desserts. It is important to keep the real reason for the season in our hearts. I saw this video on Betsy of the blog Joyful Reflections facebook page this morning and it made me cry, as it ended so beautifully with my favorite Christmas hymn. Direct link here. I hope that you take a few minutes of your busy day to watch it and be uplifted by it. Wouldn't it be wonderful if this happened in every mall this season? "Jennifer Foster of Florence, AZ was visiting Times Square with her husband Nov. 14 when they saw a shoeless man asking for change. She writes, “Right when I was about to approach, one of your officers came up behind him. The officer said, ‘I have these size 12 boots for you, they are all-weather. Let’s put them on and take care of you.’ The officer squatted down on the ground and proceeded to put on socks and the new boots on this man. The officer expected NOTHING in return and did not know I was watching." The officer is named Larry DePrimo--More can be read about him on this NY Times link. 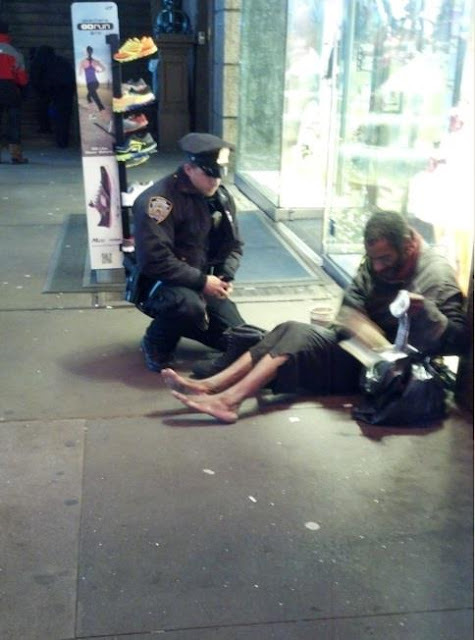 I hope it will inspire all of us to do an act of kindness for someone in need. What better way to prepare Christmas this year? This quote was spoken by President Theodore Roosevelt, the 26th President of the United States, the day before he died on January 6, 1919. 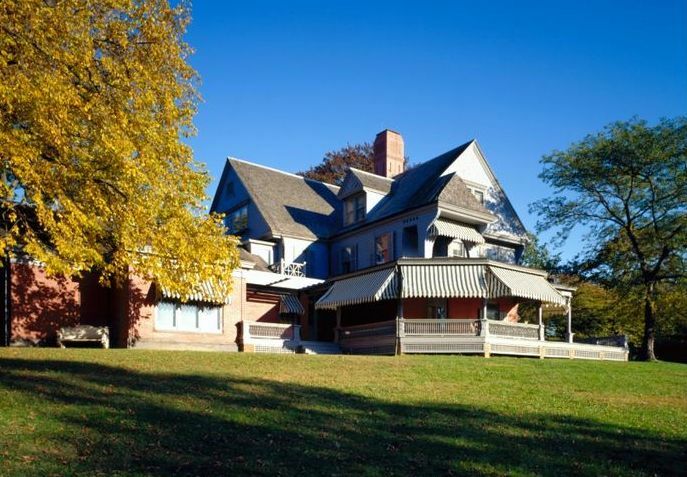 Built on a hilltop in 1885, in the town of Cove Neck, in Oyster Bay, Long Island, Sagamore Hill was Teddy Roosevelt's favorite home, and the summer White House during his presidential years from 1902 to 1909. This is the first glimpse of the house on the hill as you approach from the road. The house is undergoing extensive renovations and is closed to visitors at this time, but the park grounds of this National Historic site remain open, as well as the museum. Theodore Roosevelt bought this land on the fashionable north shore of Long Island in 1880, with Alice Hathaway Lee, the woman he would marry later in the year. She helped plan the house, with its many rooms and sweeping views of Long Island Sound but did not live to enjoy it. Alice died soon after childbirth, on February 14, 1884. Roosevelt’s sister, Anna, convinced the distraught Teddy that he would still need a home for his baby daughter and he went ahead with the construction of the home. In 1887, he married Edith Carow, a childhood friend, and together they raised Alice and their five children at Sagamore Hill. After Roosevelt's death in 1919, Edith remained at Sagamore Hill. She died there in September 1948, at the age of eighty-seven. The Roosevelt Memorial Association, now the Theodore Roosevelt Association purchased Sagamore Hill from the Roosevelt estate in 1950 and opened as a museum to the public in 1953. The National Park Service took over administrative control of the house in 1963. The Theodore Roosevelt Museum at Old Orchard was originally built as Theodore Jr's home in 1938. The Georgian-style house sits on Sagamore Hill estate's apple orchard. 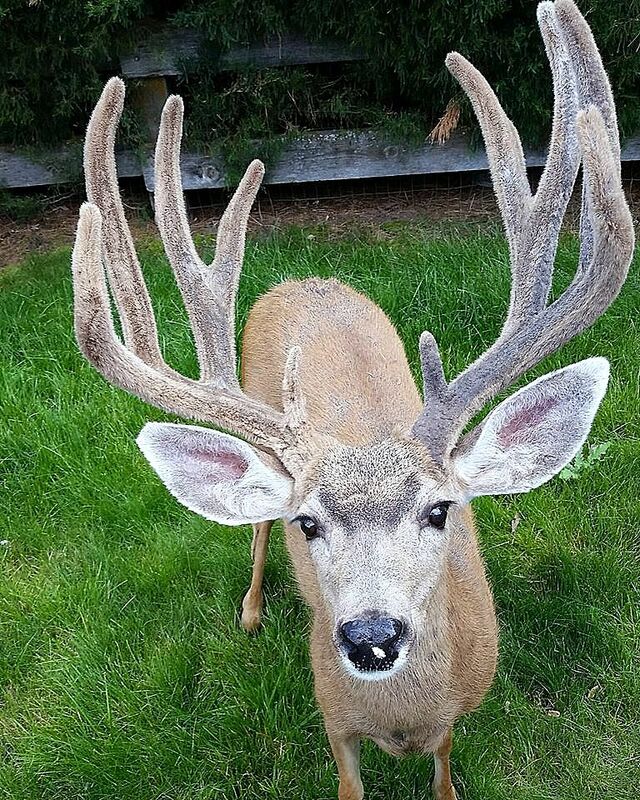 Ted Jr. lived at Old Orchard for only three years. In 1941, Theodore Jr. reentered active military service and became a deputy commander of the 1st and 4th Infantry Divisions during World War II. A few weeks after directing the D-Day landing on Utah Beach on the Normandy coast of France in 1944, he died of a heart attack. His wife Eleanor Alexander Roosevelt continued to live at Old Orchard until her death in 1960. Later the Theodore Roosevelt Association purchased the house and presented it to the public as part of the Sagamore Hill National Historic Site. 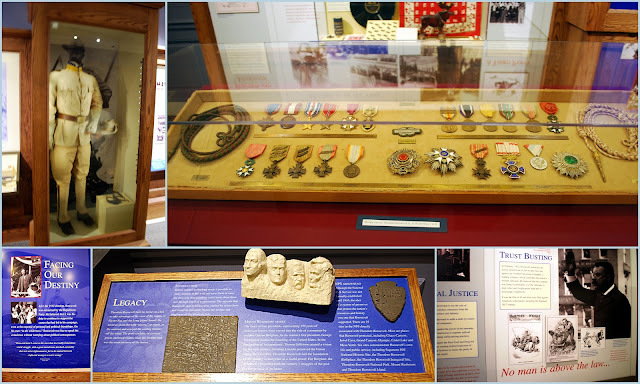 The museum displays the story of Theodore Roosevelt's life in a collection of photos, artifacts, quotes, and memorabilia. 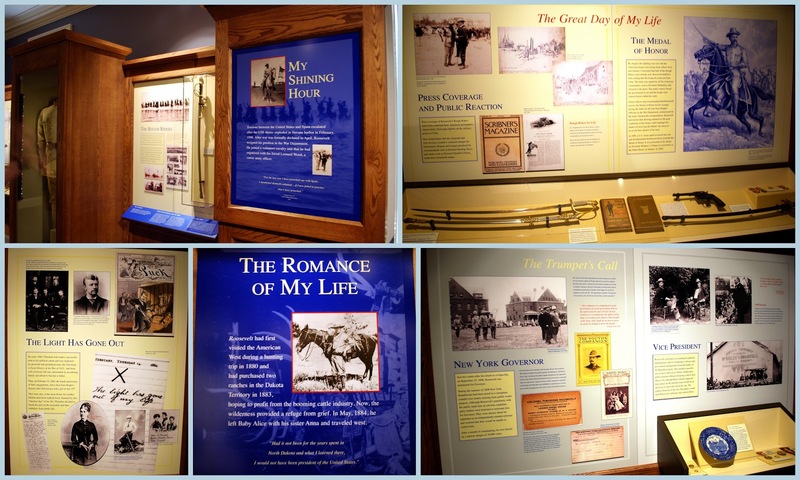 The exhibits are fascinating to see and read. I visited the museum a few days before Hurricane Sandy hit the Eastern coast. Quite a few Naval Officers were also visiting the museum at that time, and I overheard them say that they were soon heading out to sea to protect their ships and carriers from the storm. I have visited many National Parks and Monuments over the years, and I always give thanks to President Roosevelt for having the foresight to begin the governmental movement to protect these lands for the enjoyment of future generations. ... this beautiful oak tree was located near the house. I hope both trees were able to survive the hurricane! We walked to the Oak, Tulip and Hickory tree preserve on the Sagamore Hill property where we saw a park ranger bird watching. This area is also part of the Oyster Bay National Wildlife Refuge. As we approached the Long Island Sound the clouds were beginning to build on the horizon and I thought the views filled with vivid colors and swirling clouds looked similar to a Vincent van Gogh painting. Weather-wise, everything was very still and pleasant at that time. It was the true "calm before the storm." Because the Sagamore Hill house was closed for renovation, and I could not photograph it, I found part one of a three-part series on YouTube that takes you on a guided tour of the home. Part two can be found on this link, and part three on this link. As you can see in these videos Sagamore Hill is still furnished as it was during Roosevelt's busy lifetime. When opened again it will be a fascinating place to visit to learn more about the life and times of this multi-faceted man who was one of our country's greatest Presidents! 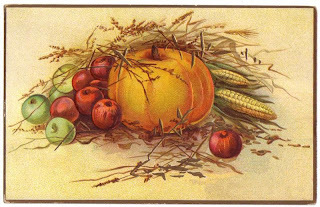 I hope all my American blog readers had a wonderful Thanksgiving Day! We celebrated the holiday with my nephew and his family on Long Island, so we were able to make a visit to the National Cemetery, where my father is buried, to pay our respects. 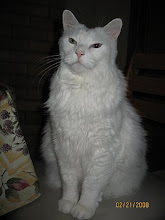 My Mom is with him now, and we reflected on how we brought her here last Thanksgiving Day, never thinking it would be the last visit we'd make with her. I had to smile when my brother was carving the turkey. My nephew's dog sat next to him the entire time. It was such an amusing sight! The dog was definitely hoping some turkey would be tossed his way! How could we resist those big brown pleading eyes? 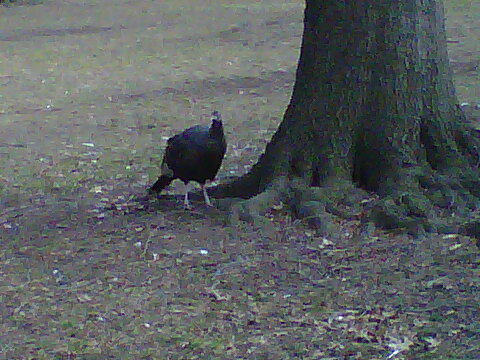 Of course, I gave him a little piece of meat. We enjoyed some delicious appetizers, and my nephew prepared a fabulous French Onion soup for dinner, as well as turkey and all the trimmings! He is a wonderful cook and we enjoyed the company of his family as well as his brothers and their families and my brother and sister-in-law. It was a full and happy house! 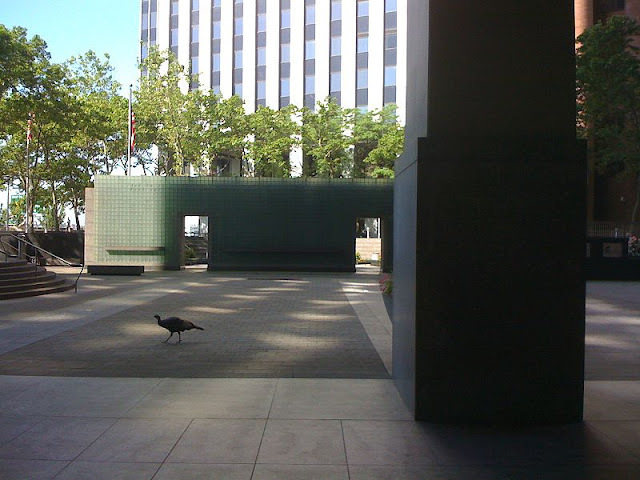 If you are a long time reader of my blog you might remember when I blogged about the wild turkey named Zelda that lives in Battery Park in Manhattan. You can read that post on this link. 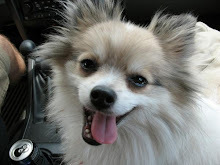 I was cheered this weekend to hear on the news that Zelda survived both Hurricane Sandy and Thanksgiving! She obviously rode out the storm in her nest on a tree in the park, as that area was flooded for a time, along with a large amount of Lower Manhattan. I'm sure Thanksgiving was very different for many of those affected by the hurricane. There was a great effort by many volunteers and organizations to make sure anyone who was without power, a working kitchen or home, would be served dinner at many different locations in the city. In fact, the Red Cross served 35,000 meals across New York and New Jersey on Thanksgiving Day. The magnitude of the hurricane was so extensive, and it will take a long time for many before their lives return to normal. As of last Wednesday, the Federal Emergency Management Agency (FEMA) reported that 453,000 disaster survivors had applied for assistance in New York, New Jersey, Connecticut, and Rhode Island, with $844.4 million in relief aid approved. As my family gathered this holiday we all shared stories of those we knew who lost homes and businesses. It made us even more grateful for what we have, and this experience made us realize how quickly all could be lost. This weekend my daughter celebrated her birthday! 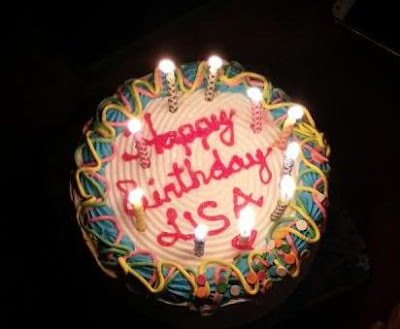 We were sad we could not be together, but our son-in-law made sure to buy her all-time favorite Carvel ice cream cake! They also had a nice time visiting the "Day in Pompeii" exhibit at the Denver Museum of Nature and Science. On display were hundreds of exceptional artifacts from the Italian city of Pompeii that was destroyed by a volcanic eruption in 79 AD. This is also how we spent part of our weekend. We packed many, many, boxes in preparation for our move. We still have many, many more to pack! One does not know how much stuff they have until they have to pack it in a box! No, we haven't sold our house as yet, but we are still trying. We hope that *one person,* that everyone tells us that is all it takes to sell, comes along very soon! I spied this beautiful vintage copper and cast iron stove as part of a display at the Williams Sonoma store inside the Time Warner Center at 10 Columbus Circle a few weeks ago when I visited the Discovering Columbus art exhibit. (You can read about that fascinating and unusual art exhibit on this link.) How I wish this were my stove! I love its design and double ovens. Every year when I am cooking for Thanksgiving I wish I had two ovens, don't you wish the same? The next few days will be busy ones as we gather our favorite recipes, take out the good china, and work hard in front of our ovens to prepare the feast. Afterwards, we reverse the process and try to think of creative ways to use up leftovers. Safe travels to those beginning the journey to, and from, family and friends' homes. Enjoy this wonderful celebration where we gather to give thanks for all our blessings! "Know that even when you are in the kitchen, our Lord moves amidst the pots and pans." "There is something in every season in every day, to celebrate with thanksgiving." "True gratitude, like true love, must find expression in acts, not words." "As we pause to thank Him for the blessings of the past year, we must not forget to thank Him for the lessons we have learned through our difficult times. We are not to be thankful for just the pleasant, easy things, but ALL things." ...Father in heaven, we thank Thee! During this hectic time of the year, when I am preparing for the holidays and enjoying the special festivities of New York City, I still like to prepare a nutritious homemade meal packed with quality ingredients. This will be my last Christmas in New York for a while, as I am packing for a move out West. Although I'm very busy I also want to find the time to enjoy life more each day. 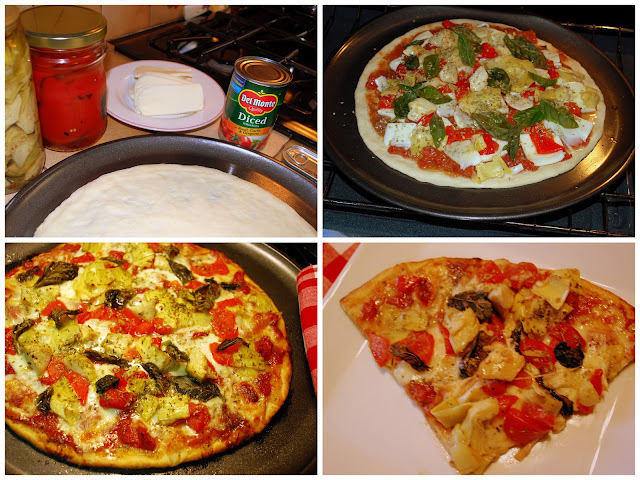 What better way to fulfill that goal than having quick, fuss free, and delicious meals to prepare, with the help of Del Monte canned Fruits, Vegetables and Tomatoes, such as the pizza seen above? ... or a side of hearty cornbread, fresh from my oven? That is why I always have Del Monte canned products in my pantry! Did you know that Del Monte canned Fruits, Vegetables and Tomatoes contain similar essential nutrients to fresh, with no artificial colors or flavors? That they are grown in the best regions for a consistently high-quality product? That the majority of Del Monte canned Fruits, Vegetables and Tomatoes are grown in the United States, and are packed at the peak of ripeness, with nearly 90% canned the same day to lock in nutrients and flavors? Adding Del Monte canned Fruits, Vegetables and Tomatoes to your meals is an excellent way of adding more garden fresh versatility, along with ease of preparation. Press a store-bought pizza dough in your pizza pan to form a 14 - 16-inch circle. Spread one 14 1/2 oz. can drained, of Del Monte Diced Tomatoes with Basil, Garlic, and Oregano on top. Add whatever other condiments your family enjoys to the pizza toppings. For this pizza I added some jarred artichoke hearts, sliced roasted red peppers and one small can of anchovies. I also added a few basil leaves that came from the garden that I have frozen for just such use. Bake the pizza in a pre-heated 500 degree Fahrenheit oven for 15 minutes, or until the crust is crisp and slightly browned and the toppings are hot, and the cheese is bubbly. Del Monte Diced Tomatoes with Basil, Garlic, and Oregano makes the perfectly flavored pizza sauce, and they are a natural source of vitamins A and C and the powerful antioxidant, Lycopene. Add chicken to the pot, followed by sliced onions and the diced tomatoes on top. Cover and cook on crock pot low setting, 7 hours. Open and drain one can Del Monte Fresh Cut Green Beans, one can drained Fresh Cut Sliced Carrots, and one can drained Fresh Cut Sweet Peas. 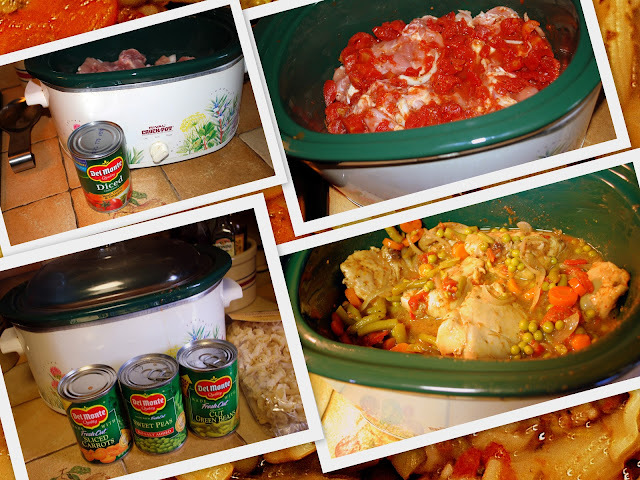 Pour drained vegetables over the chicken and tomatoes in the crock pot, cover, and turn crock pot to high for the last hour of cooking. Prepare rice or pasta as a side. Remove chicken from the crock pot and place on a platter to serve. Add the rice or pasta to your dish and ladle sauce and vegetables on top. Serve. The Del Monte Diced Tomatoes with Basil, Garlic and Oregano adds the perfect amount of seasoning to the chicken and sauce, and the added Del Monte vegetables makes this meal a snap to make, as all the preparation work is done for you. They are also a wonderful way to add more vegetables to your diet. Grease the bottom and 1/2 inch up the sides of a 12 inch cast iron skillet, set aside. In a medium mixing bowl stir together the flour, cornmeal, sugar, baking powder, and salt. Make a well in the center of the dry mixture; set aside. In another bowl combine the eggs, milk, and cooking oil or melted shortening. Add egg mixture all at once to dry mixture. Add drained corn. Stir just until moistened. Bake in a 425 degree Fahrenheit oven for 20 to 25 minutes or until a wooden toothpick inserted near the center comes out clean. 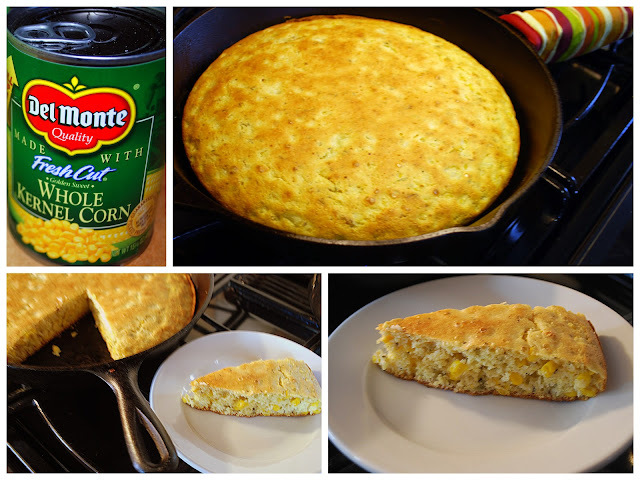 The addition of Del Monte Whole Kernel Corn adds more fiber, nutrition and a sweet delicious taste to my favorite cornbread recipe, making it an extra special treat. I love to serve it as a side dish for a soup or stew, or as an accompaniment for a holiday meal. Last, but not least, one of my favorite desserts as a child remains one of my favorite comfort desserts of today -- a scoop of cottage cheese covered with a few Del Monte Sliced Peaches in Extra Light Syrup. It has just the right amount of coolness and sweetness to bring a smile to my face every time I eat it! I hope you'll try one of my recipes or find one you'd like to try at www.delmonte.com. Also, visit Del Monte's "Add Some Garden™" campaign Facebook page for more delicious recipe ideas. Tell us about meals that make you feel good and are good for you, in the comment form on my blog, and you will be entered in sweepstakes for a chance to win a $100 Visa gift card. This giveaway is open to US Residents age 18 or older. Winners will be selected via random draw and will be notified by e-mail. You have 72 hours to get back to me, otherwise, a new winner will be selected. Be sure to visit Del Monte's brand page on BlogHer.com where you can read other bloggers’ reviews and find more chances to win! 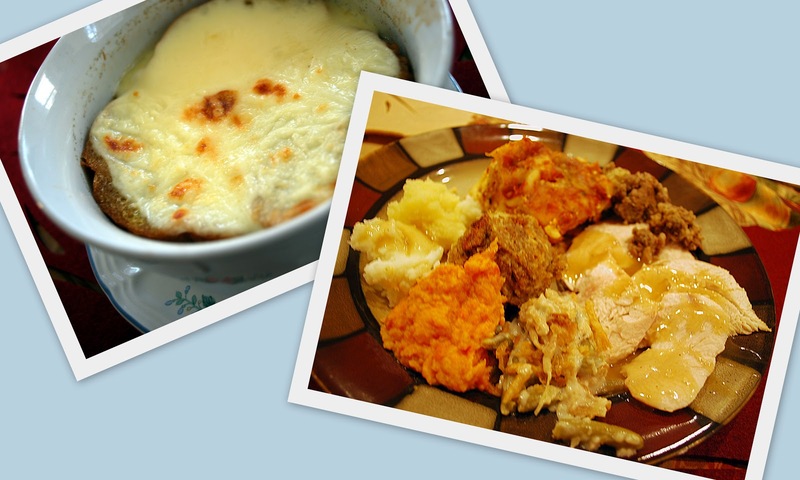 * This is a paid promotion by Del Monte and BlogHer, but all recipes and opinions are my own.